Richard Irwin (Belper, United Kingdom) on 22 November 2010 in Plant & Nature. Not a bad place to be, amidst such a range of subtle colors. Que c'est beau l'automne.Un joli tableau aux couleurs chaudes. @Candais: It's the spiky casing of a chestnut, which fell to Earth about a month ago. 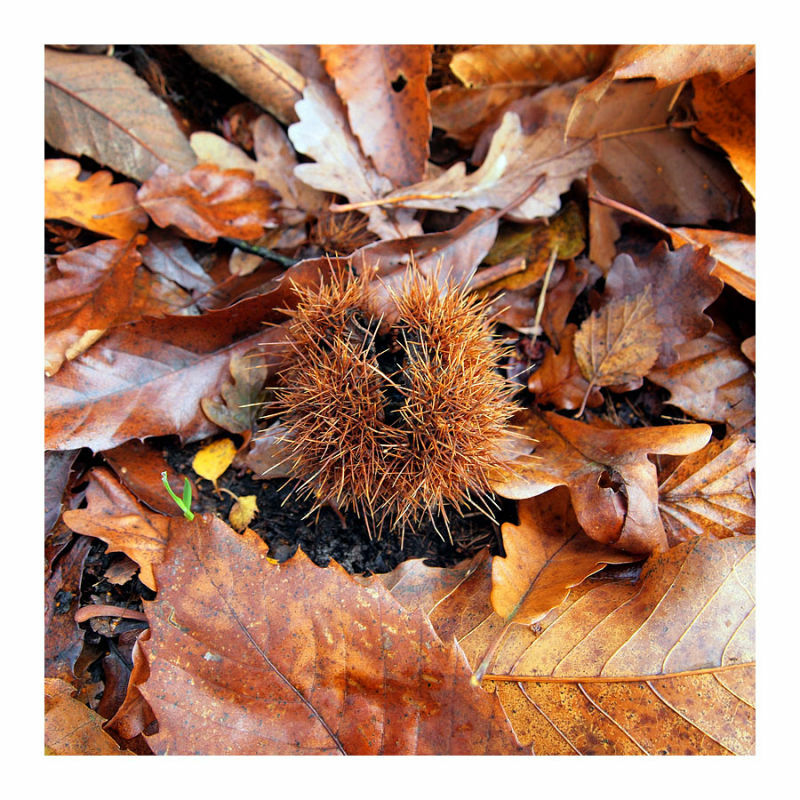 The chestnuts have long since been gobbled up by mice and squirrel's, but the casings litter the ground for ages.